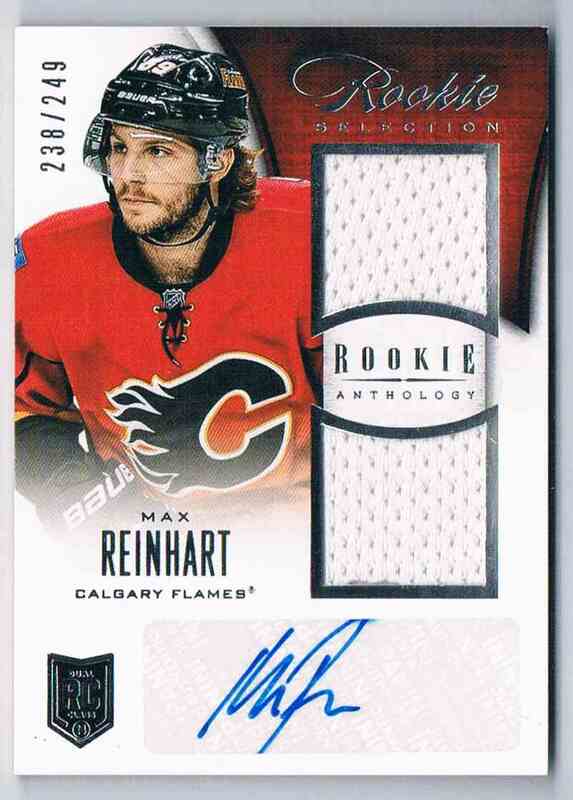 This is a rookie autographed Hockey trading card of Max Reinhart, Calgary Flames. 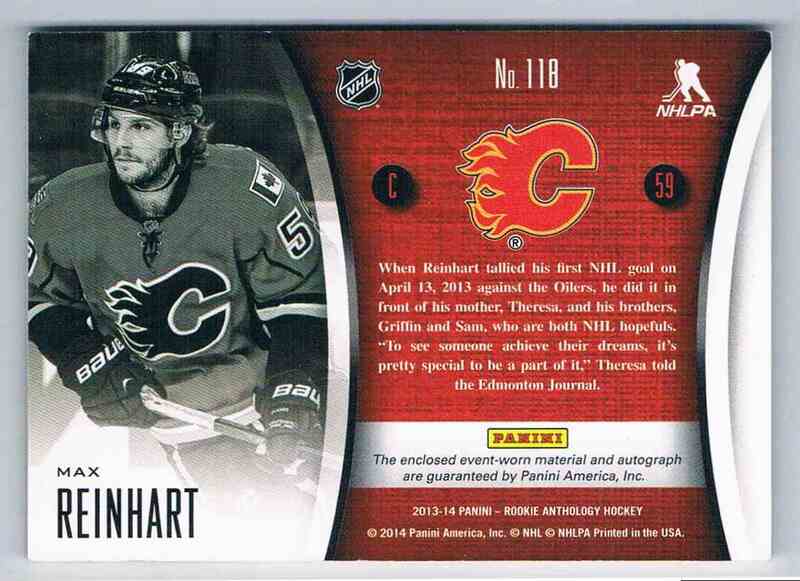 It comes from the 2013-14 Panini Rookie Anthology Dual Jerseys Autograph set, card number 118, embedded Jersey 1 Color, serial numbered 238/249. It is for sale at a price of $ 7.00.